As any macroscopic atlas on our website the flash programs are delivered in several languages. 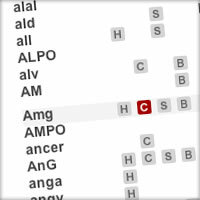 Affecting as well browsing and search functions you can change the language during the use of the selected atlas, this helps you also as translation tool for selected structures. 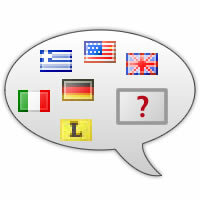 Feel free to submit your wishes or take part in our sponsoring program to add additional languages. Use the horizontal Atlas navigation list to directly access the region of interest, your selection appears on both the schematic and macroscopic presentation of the selected plate. This works in both directions the anatomical structure markers within the selected plate help you to find the corresponding terms. 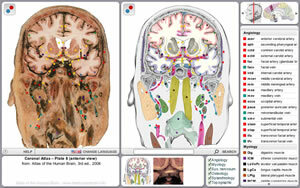 Focus your region of interest by selecting anatomical characteristics. This filter allows to narrow down the structures you are looking for. Multiselections are possible and can be used for detailed structural analysis and information. 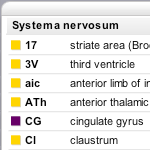 Quickly find the region of interest by using abbreviations or terms of the nomenclature. 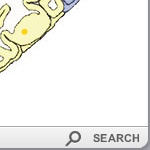 The search results shows you the appearance of the requested structure of any plate available in the current atlas. 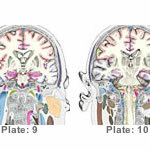 The plane of sectioning is parallel to the brain stem axis. 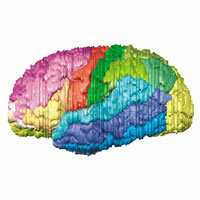 The nomenclature is a collection of all terms used in all atlases and provides the consistent abbreviations used in the Atlas of the human brain. Once you have specified a structure you can use the nomenclature in the database section to look up the same region in other atlases. For german students we developed a glossary on our teaching site teaching.thehumanbrain.info, please see there for further information. 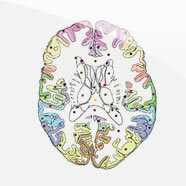 From 2D Sections to 3D Models – most of the subcortical structures have been reconstructed on the basis of the illustrated sections. 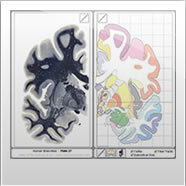 Whenever necessary, information from the extensive literature pertaining to the Atlas Brain was integrated. 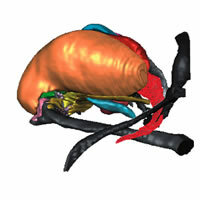 Examples in the 3d reconstruction section show different views of the thalamus and some additional landmark structures. Nissl (cell) stained sections are presented for orientation in high magnification for virtual microscopy. Consistent slice numbers and metric measures allow to cross reference the atlas data from the flash applications with high detail images from the sections area. 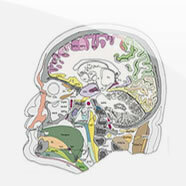 The sectional Brain Atlas focuses only on the anatomical structures while both the schematic and slice view are used to represent the area of interest.